I read a lot. It's a simple fact, I'm a reader. I'm not ashamed and I don't boast about how well-read I am. I honestly haven't even read many of the classics, and really didn't enjoy the ones I did. I read for fun, I read because I have a lot of downtime at work and it is something to do on the commute. I read in the bath in the evening and I read in bed at night. I go to cafes when I have a few hours to spare and I drink coffee. It's just part of my life. A few years back I got a Nook, it was a pretty decent eReader, but something strange happened to it when it moved to Japan and the customer service I received in trying to fix the issue treated me like an incompetent monkey so I switched to a Kindle. Three years later, my Kindle is my best friend. I rarely leave the house without it in my purse, it doesn't even have a case. I've split coffee on it, dropped food on it, and one time left it on a bus. This year (so far) I've read 55 books, last year I read 53. They aren't huge tomes of novels, I would say the average size of the books are about 300 pages. A large portion have been young adult, and the genres vary greatly from fantasy, to science fiction, to horror and mystery and thriller and contemporary and you get my drift. As an aspiring writer reading helps me, it gives me ideas and it lets me see how words should flow and it shows me how to craft a story. But, it also helps me know what I don't like. What sort of things in novels make me roll my eyes, what kind of things make it difficult to turn the next page (or tap it), and what just makes a book not very enjoyable. As a writer I think it's really important to reflect on why you aren't really into what you're reading. What makes this book annoying and rudimentary? Why don't I want to finish this book? That’s why I am giving you five books that I didn't enjoy this year. There were more than five, believe me, but I've decided to limit my list to books that were only released in 2014. I'll make another list of books I really loved this year, as there were far more of those, but I want to wait until the year is over. 1. 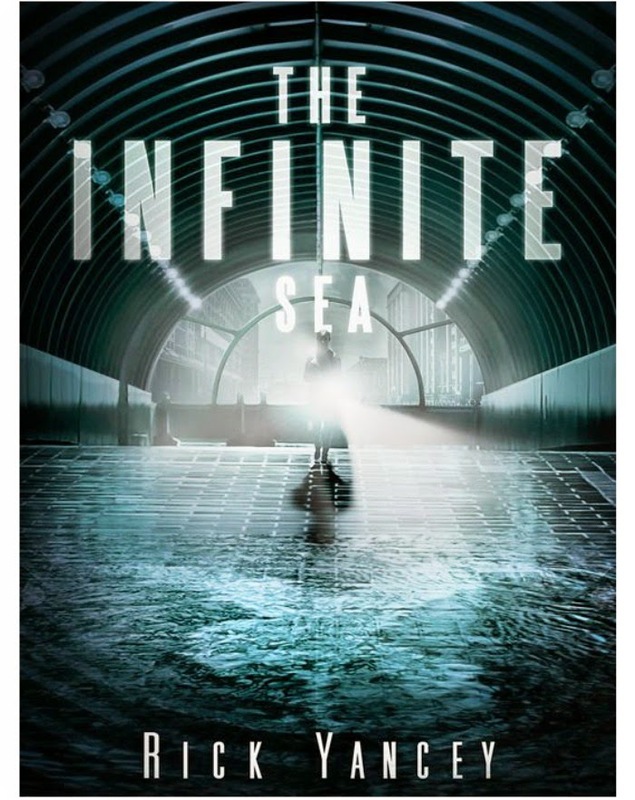 The Infinite Sea (Fifth Wave #2) by Rick Yancey. I loved The Fifth Wave. It was released last year and I read it very quickly and I thought it was great and wonderful and such an interesting book. I love a good dystopia and, honestly, it's really hard to find a decent one following the release of The Hunger Games. The young adult genre is loaded down with them and most of them are utter crap. They're essentially romance novels under the guise of being a cook dystopian book. And I hate romance novels. The Fifth Wave definitely had romance in there, but it was so much on the back burner that I didn't care that much at all. I couldn't wait to read the second book and learn more about this story. It started out decently enough, and that was great. There are a lot of point of views in this book, which can get confusing and annoying. I know some people don’t enjoy too many point of view changes, and I have read a few books where it’s just too much, but overall I like a few points of view in a story. But, then something happened. A character was brought back who really shouldn't have been brought back and so began what I like to call The Curse of Catching Fire. Catching Fire is the second book in the Hunger Games trilogy and it started this annoying trend in these YA dystopian novels of the second book being all about romance and… screw the actual story! Now, thanks to the multiple POVs the Infinite Sea isn’t a perfect case of that, but when this character came back and started this stupid love thing again I just knew I wasn’t going to finish the book. The main character is also unbearable. She’s just an awful character. I cannot handle the sort of main characters that are just so hard headed, dramatic, and all around annoying. The other characters in this story are great, they have such potential and there is so many interesting back stories that are hinted at, they just aren’t mentioned enough. If there was less focus on this awful main character and more focus on these supporting characters it would have been much more enjoyable. Plus, the titular “fifth wave” is stupid. I don’t understand why it is what it is and it doesn’t make sense. I’m sorry. It is. Waves one through four were slightly understandable but I often felt myself thinking “why?” whenever the fifth wave was mentioned and the reasoning behind why it was chosen. When I first read the premise of this book I was really intrigued. A man who is reborn at the same point in time over and over and over again, when sudden in his fifteenth life this woman comes and asks him to save the world! He then has to work in all of his lives thereafter to keep catastrophe from happening. It was interesting, it was unique and I wanted to read it right away. Thirty percent of the way in I couldn’t read anymore. I had been scanning the book for maybe the last twenty pages just hoping for something to happen. I understand the need of establishing a backstory, of setting up a foundation for which the actual story has to happen, but a third of the way into the book and they story hadn’t started yet. Where was the girl who was to come to Harry on his deathbed and say how in his next life he needs to keep the world from ending? It was just the same things over and over. The same life over and over and nothing was happening. Maybe, if I have nothing else to read, I will try to go back and get through the rest of the book because I really, really wanted to read it and even writing this again I am thinking how I should have finished it and maybe it did get really interesting. But, I know that I don’t stop reading books just because I get a little bored. I have pushed through books because I got it in my head that I had to finish them many times. Usually, if I am giving up on a book it’s because I’ve not touched it in a few days and I want to move onto something else. I am the type of person who can only focus on one book at a time, I don’t enjoy jumping from story to story, so if I stop reading a book and change to another, I won’t pick the former up until I’ve finished what has replaced it. This was just one of those books I stopped reading and never came back to. I didn’t feel like it, there was always something better to read. Eventually, I just gave up on the notion of finishing it all together and moved it to my dreaded “dropped” shelf on Goodreads. Sorry! 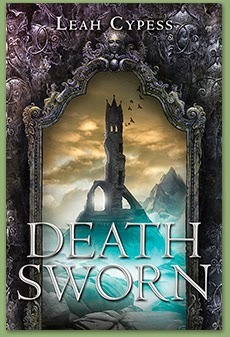 Goodreads rating of 3.65 I finished this book! Seeing as I finished this book it must not have been all that bad, but it was definitely one of those books which I was just reading because there was nothing better to tide me over. In my actual review of the book (I rarely make reviews) I said how the book just went by really quickly, and it did. This book required zero brain power to get through. It’s mainly dialogue and there’s very little description. That’s because it mainly takes place in a cave. It’s about a girl who used to be some great magician in training who suddenly lost her power and has to live with assassins. It’s a fantasy novel. That’s important. When you pick up a fantasy novel to read you have very clear expectations with what you want. You want a great world. You want to be transported somewhere else. You want to leave your world and enter another. Maybe you want magic, maybe you want adventure, maybe you want politics. Maybe you want all of it. But you want something more than just talking and characters. Which is really all you get in this book. The lead character just seemed unnecessarily difficult. The assassins and she had the same goals. They wanted the same things! Yet she always complained about what they were doing because it wasn’t the way that she would do it. Okay, that’s great. Thanks for sharing. I just couldn’t find myself any motivation to care for either side. Why was the evil side evil? What made them so bad? Nothing was given to me in that regard. No history or anything other than, “They did bag things to me!” Well, maybe you’re unlucky? I don’t know. It’s a decent book to read if you just want something mindless to tide you over until the book you’re really wanting to read comes out. I don’t think I’ll be reading the second, however. Goodreads rating of 4.19 I got about halfway, maybe. This one may be my fault. It’s a middle grade book so I don’t expect great prose or conflict that are too deep. I expect fun characters and an interesting story and action. I read the first two books a while back, before I lived in Sapporo and was in rural Hokkaido and I loved them. They were so witty and fun and the characters were great. The first book is about a boy who fakes being this missing prince and his attempts at making people believe that he is this prince. It’s a really great read and I enjoyed it so much. Even for a middle grade book! It didn’t feel like one at all. This one, however, does. I think it’s because in the third book they are trying to face some more adult topics, and it’s just so difficult to do at a middle grade level. It just felt really juvenile while the other books didn’t. There was so much going on and there was so much skipping around that I often felt confused. A preteens suspension of disbelief is probably much more forgiving than mine, even though mine is pretty great, but it just didn’t work for me. The author was trying to do too much with too little. The book is too short to allow all that she wanted. The audience is too young to explain things as they should be. 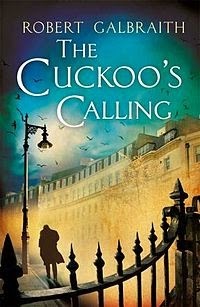 If this book had been produced in a way similar to Harry Potter, where the writing grew with the intended audience rather than stay at the same place over multiple years, it would have been more successful (and is one of the reasons Harry Potter was so successful, I should know, I read the books from ages 10-18 as they came out!). Book one was great for middle grade, but book three should have been bumped up to young adult. Goodreads rating of 3.78 I read maybe 40% of the book. Kaley! You just mentioned loving Harry Potter yet you didn’t enjoy J.K.’s book? Yes. I am one of those, but not because I think this book is awful. I honestly think that as someone who has such fond memories of Harry Potter, who holds those books on such a high, infallible pedestal, that it will be virtually impossible for me to like anything else J.K. Rowling writes. The standards of expectations are too high, even if I like to tell myself they aren’t. My mind expects too much. This is definitely not a bad book. My mother read it and enjoyed it and she reads constantly. The characters are fantastic (J.K. Rowling has a way with characters) and the writing is witty. I just don’t like detective novels. Both of her adult literature attempts that I have read have disappointed me, not because I didn’t like her writing but because I didn’t like the genre. My mistake. I thought my love of her writing would convert me over to a detective novel, but I was wrong. Speaking of the writing, though, it seemed sort of misplaced. J.K. Rowling has a very distinct way of writing. Her language use is a little strange and her flow is very distinct. It worked really well for Harry Potter, as the books are typically full of quirk and it’s fantasy so things are going to be a little different. But in a book devoid of any magic at all, it almost seems out of place. It feels like I should be reading something fantastical but all that happens is the mundane. I loved the characters and I didn’t intentionally not finish. 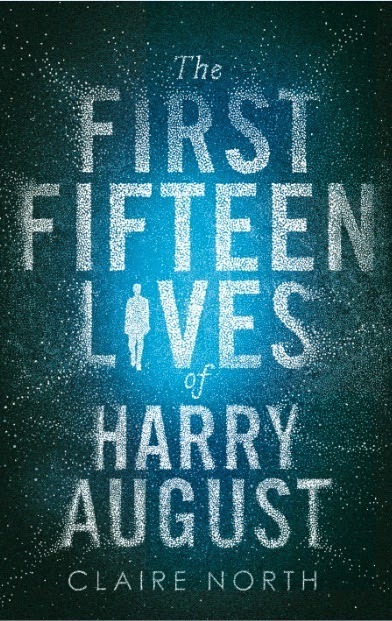 It was just another case of me setting the book down to read something else and not picking it back up again, much the same as The First Fifteen Lives of Harry August. I’ll still try to read everything she releases. Something else aside from Harry Potter that she writes will have to suit me, right? I tried very hard to be as objective as possible in these reviews. It has been a long time since I’ve read many of these books, so some of the specific details are fuzzy in my mind, but my emotions are still there. It isn’t often that I don’t finish a book and I’ll spend months keeping a book on my “currently reading” list before shifting it to “dropped”. Some have even been there for years. 1. Annoying Lead Character – People have to be able to connect to your main character. Make them likable in some way, even if they aren’t very likably (see Jorg in Prince of Thorns). 2. Juvenile feeling – Make sure the plot suits the level at which you are trying to write at. 3. No plot progression for too long – There needs to be some backstory given, but be sure to keep it at a minimum and try to work it in throughout the book rather than all at once. 4. Inability to connect to the conflict – Try very hard to make your readers care about what they need to care about. If the bad guy is bad, make him bad! 5. Rushed with too much trying to be done – If there seems to be too much going on, maybe you need to edit some of it out. Make sure everything that is important to the story gets thoroughly explained. 6. Writing style – Your writing style is your own, remember that not everyone will like it, but your tone has to fit what you’re writing. 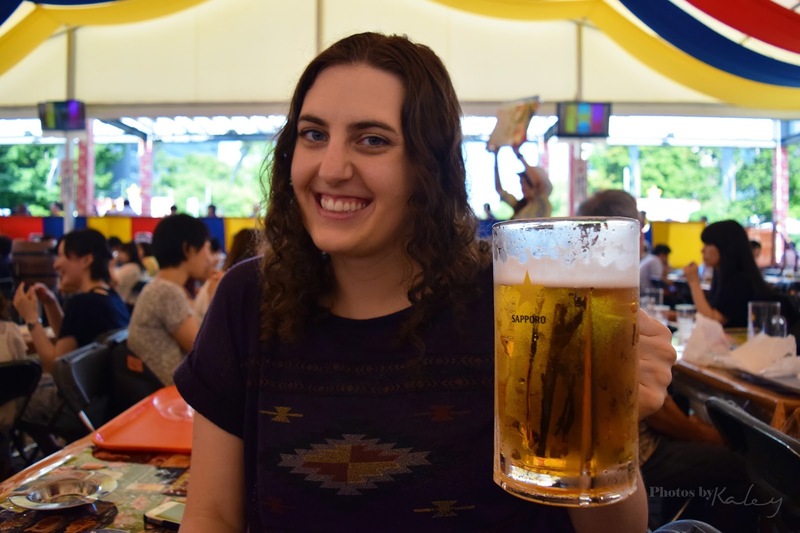 This blog post has been very long, but I hope it was interesting. If you’d like to see more book reviews by me, I can think about it. I think it’s difficult to be a literary critic as everyone has such specific tastes for what books they like, but I can give it a shot. I will make a similar list of books I really enjoyed this year in about a month, so look out for that!